Canadian interests at home and abroad are damaged by maintaining our antiquated and illogical system for controlling the prices of milk, cheese and eggs. With the confrontational and often boorish nature of President Trump, it is no wonder Canadians are cheesed about how our supposed greatest friend and ally has been treating us. However, even the erratic and unpredictable US President gets it right sometimes. And he has a point about the supply management system that some Canadians – including the government – seem hell-bent on defending no matter the cost. Over and over, successive Canadian governments have sacrificed other important trade objectives to maintain our inefficient system of protectionism for the dairy and poultry sectors and in so doing appease the dairy and poultry lobby and a small minority of voters. Now, the true cost is being felt as Trump has increasingly singled out supply management as a casus belli for his trade war with Canada. While the American response is rather disproportionate given the actual size of the Canadian supply management system, Trump’s critique of Canada is nonetheless sound. Our system for managing the production, supply, price, and market access for dairy and poultry products is so absurd, that it has given Trump the political cover (even if it is merely a convenient foil) to levy massive tariffs on Canada. What is supply management? As Macdonald-Laurier Institute scholars explained in a 2012 collection of essays on the subject, supply management is a combination of rigid quotas and high tariffs that limits market competition from domestic and foreign producers in the dairy and poultry sectors. The combination of these government-imposed restrictions drives up the domestic prices for dairy and chicken products for consumers and artificially raise the incomes of a small number of producers. And it is important to note that Trump is hardly the first global leader to raise concerns about supply management . During the Trans Pacific Partnership (TPP) negotiations, Japan, New Zealand, Australia, and others all had serious reservations about Canada’s protectionist limitations on dairy. The Canada-EU Comprehensive and Economic Trade Agreement (CETA) negotiations dragged on needlessly, and the Canadian government needed to make other sacrifices to defend supply management from the level of reasonable competition that virtually every other industry has. This is an important point: a trade negotiation involves give and take on both sides of the table and so when the Canadian government insists on maintaining supply management it necessarily involves diminishing our ability to demand certain concessions from our trading partner or forces us to give up more than we otherwise would in other sectors. Put differently: protecting supply management involves considerable opportunity costs. On the global stage, Canada remains an outlier that is consistently working against its own interests to protect an industry that simply does not need protection. It must be just baffling and infuriating to our allies that Canada still fights tooth and nail to defend such a broken system when other jurisdictions that have gotten rid of similar quota systems were rewarded with sharp drops in the cost of dairy products. On the global stage, Canada remains an outlier that is consistently working against its own interests to protect an industry that simply does not need protection. Why do I say that? Is it not true that, without the protection of quotas and tariffs, some dairy and poultry farmers would face serious downsides? Yes, there would be some disruption in the industry. 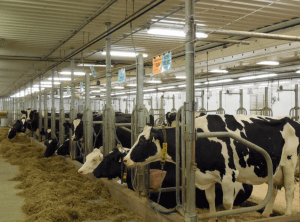 But the notion that Canadian dairy farmers could not survive without supply management, and adapt to the challenge of foreign competition, is deeply patronizing and without factual merit. For instance, we have award-winning cheeses produced in Canada that can compete on the world stage. Countries such as Australia and New Zealand got rid of their similar supply management systems, and their industries are not only surviving, but thriving. If anything, supply management is an impediment on the potential for the dairy industry, not some sort of survival necessity. Supply management apologists may argue that the system helps defend the family farm, a cherished symbol of a fading time. But, according to Statistics Canada, there has been a noticeable trend towards consolidation of farm ownership in supply-managed sectors. 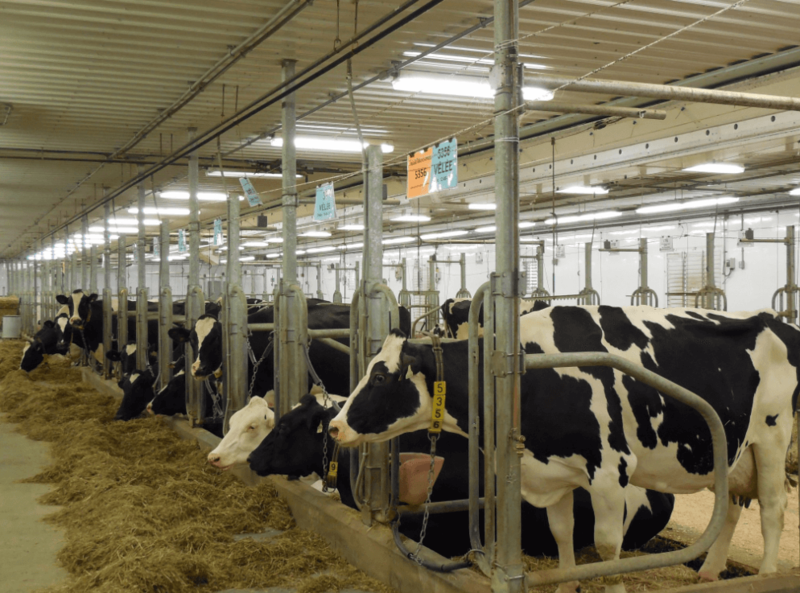 For example, the number of farms reporting dairy cows decreased by 13.4 percent between 2011 and 2016 while the number of dairy cows fell by only 2.4 percent. For context, pig farmers (who are not under a supply managed system) experienced the opposite trend, with the number of pig farms increasing faster than the overall number of pigs during the same time. The quota system makes it far more difficult for new farmers to enter the industry and protects the cadre of farmers who already own cattle. One way to think of it is this: the system works well if you are inside the tent of protectionism but serves those on the outside looking into the tent very poorly. Rather than ensuring quality goods and feel-good farming practices, supply management props up an uncompetitive model to the benefit of those who own quota, and to the determent of everyone else. Perhaps most importantly and tragically, supply management disproportionately hurts the poorest among us. Perhaps most importantly and tragically, supply management disproportionately hurts the poorest among us. A 2016 study by the Montreal Economic Institute found that as many as 190,000 Canadians are pushed below the poverty line due to supply management. Higher prices strain incomes for poorer Canadians and limit access to nutritious foods. Polls indicate that Canadians are very much open to putting supply management – whether in whole or in part – on the table in trade negotiations, particularly if it would lead to a better overall deal for Canada. As our trade situation in North America continues to deteriorate, scrapping supply management is a useful bargaining chip against the Americans and a smart domestic move for Canada. It would effectively call Donald Trump’s bluff. Moreover, it also means that we can renegotiate market access with our other trading partners, potentially offsetting the negative impacts of American protectionism while also getting better trade arrangements elsewhere. Of course, scrapping supply management is no magic bullet as there are always irritants to free trade. And Trump may just find another excuse to put the screws to Canada. Even then, it would be the right decision for Canada regardless of our trade relationship with the US. Ultimately, we should stop seeing the present tariff situation as entirely surprising or completely unfair. We have long been paying the price to maintain our antiquated and ridiculous system of dairy and poultry protectionism, and the latest challenge is just another reason why the system needs to be radically overhauled at the very least. Brett Byers-Lane is the Communications and Digital Media Manager at the Macdonald-Laurier Institute.